This amazing pesto is made with walnuts instead of the traditional pine nuts. I like my pesto a little chunky but if you prefer it smooth, just continue processing until smooth. 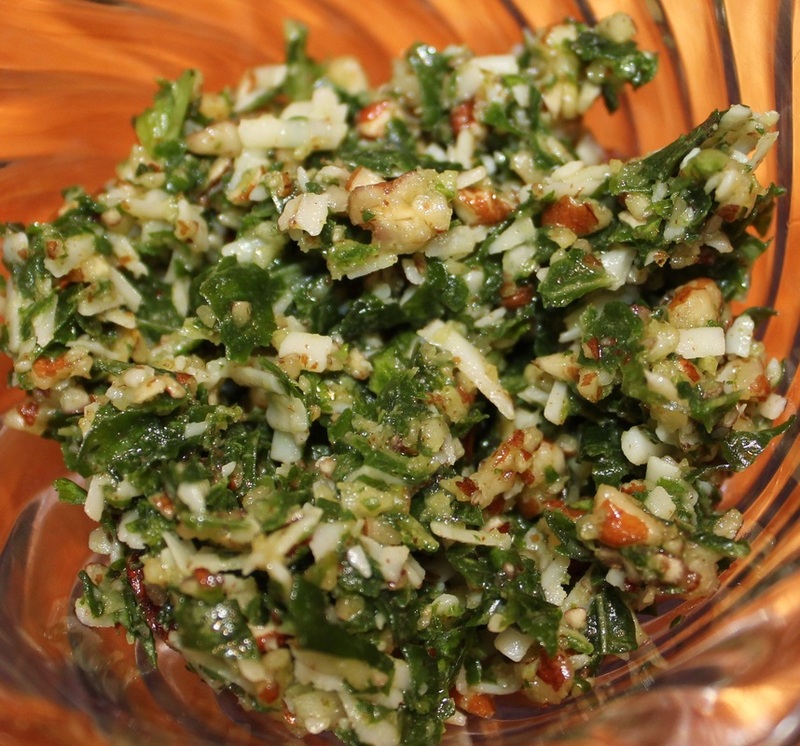 Combine basil, walnuts and garlic in a food processor, drizzle oil in as you chop the other items. Remove pesto, place in a small bowl, stir in the cheese.